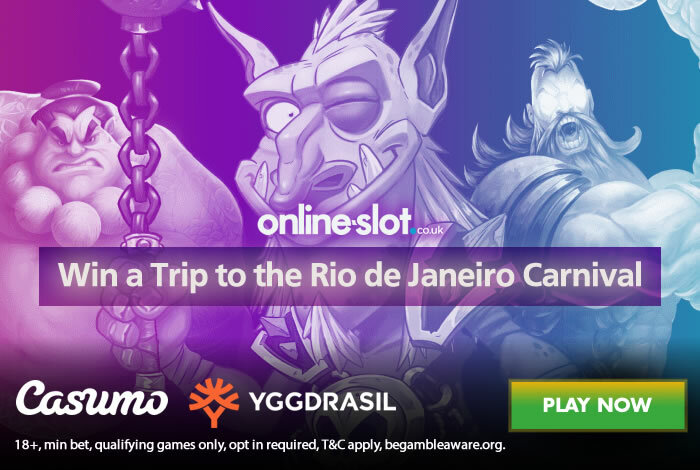 The mighty Rio Mardi Gras festivities are near the top of many people’s travelling bucket lists and you could be joining the samba party extraordinaire thanks to Yggdrasil Gaming and their massive Carnival Missions contest. There are 3 stages to the Carnival Missions competition, which takes place from 11th to the 17th of February (2019) and boasts a massive prize pool of some £60,000. The Rio package is an absolute cracker and includes flights, 6 nights’ accommodation at the 4* Copacabana Boutique Hotel, tickets to the Carnival Parade, samba lessons, food tours and much else besides. If you can’t make the Carnival dates then there’s an alternative package that includes 7 nights in Rio plus flights, accommodation and plenty of extras. Get playing on some of Yggdrasil Gaming’s best slots this week and it could land you a once-in-a-lifetime trip to one of the world’s most exciting cities. The promotion is available at Casumo Casino who welcome you with 20 no deposit free spins on NetEnt’s Starburst as well as a 100% first deposit bonus up to £300. 18+, min bet, qualifying games only, opt in required, T&C apply, begambleaware.org.